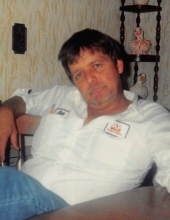 William “Bill” Hacker was born March 5, 1946 in Jackson County and departed this life Sunday, November 18, 2018 at his residence in Annville, at the age of 72. He was the son of the late Levi & Pearl (Reed) Hacker. Bill is survived by his wife Rosezella (Helton) Hacker of Annville and by the following children, Jeff (Christine) Hacker of Annville, Brian Hacker of Madison, IN, Bill (Kari) Hacker Jr. of Lexington and Kimberly Hacker Small of Louisville, TN. He is also survived by a sister, Kathy (Marshall Wayne) Shelton of Madison, IN. Bill was blessed with five grandchildren, Jeremy Helton, Lynsey Peel, Alyssia Mills, Derrick Brewer and Lesley Perkins and by six great grandchildren. In addition to his parents, Bill was also preceded in death by a son, Billy Michael Hacker; by two brothers, Bernan Hacker & Larry Ellis Hacker and by two sisters, Jewel Dean Hacker and Anna Lee Hacker. "Email Address" would like to share the life celebration of William Bill Hacker. Click on the "link" to go to share a favorite memory or leave a condolence message for the family.